Ellie Mae Completes AllRegs Acquisition - Berkery, Noyes & Co., LLC. PLEASANTON, Calif.–(BUSINESS WIRE)– Ellie Mae® (NYSE:ELLI), a leading provider of innovative on-demand software solutions and services for the residential mortgage industry, announced today that it has completed its acquisition of AllRegs, a leading information provider for the mortgage industry. At a time when compliance has become mission critical for mortgage lenders, the acquisition positions Ellie Mae as the leading source of mortgage management technology, investor guidelines, compliance resources and education to help lenders achieve compliance, loan quality and efficiency. AllRegs provides education and training, loan product and guideline data and analytics to more than 3,000 companies covering every facet of mortgage banking, including major lenders and investors, regulators, federal and state agencies, brokers, mortgage services vendors and law firms. Its extensive content library of regulations and investor guidelines is relied upon by virtually all of the top 100 U.S. lenders. 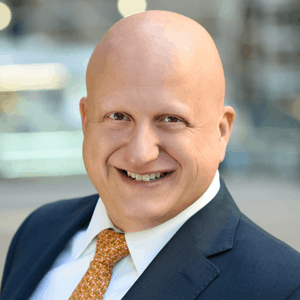 “The combination of AllRegs’ mission critical content, tools and services with the market leading compliance and mortgage management technology provider, Ellie Mae, will be a game changer for the industry,” said Jeff Hoerster, former president of AllRegs who will assume the role of Ellie Mae’s vice president and general manager, AllRegs. 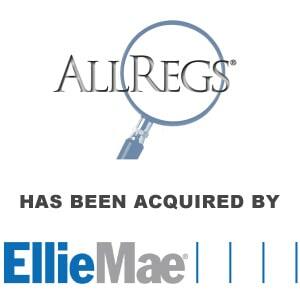 AllRegs is now part of Ellie Mae, offering its broad array of educational courses, certifications, risk mitigation and other services. AllRegs employees and offices will be retained by Ellie Mae. AllRegs is the exclusive electronic publisher of underwriting and loan product guidelines for Fannie Mae, Freddie Mac, Wells Fargo Home Mortgage, Citigroup, JPMorgan Chase, the Federal Home Loan Bank of Chicago, U.S. Bank Home Mortgage and Flagstar Bank, N.A. The AllRegs online reference library provides lenders with investor underwriting and insuring guidelines, federal and state statutes and regulations, Mortgage Mentor “how to” guides, including plain language-interpretations and analysis of regulations and guidelines.